Nomination period for NEXT 100 extended to February 14! 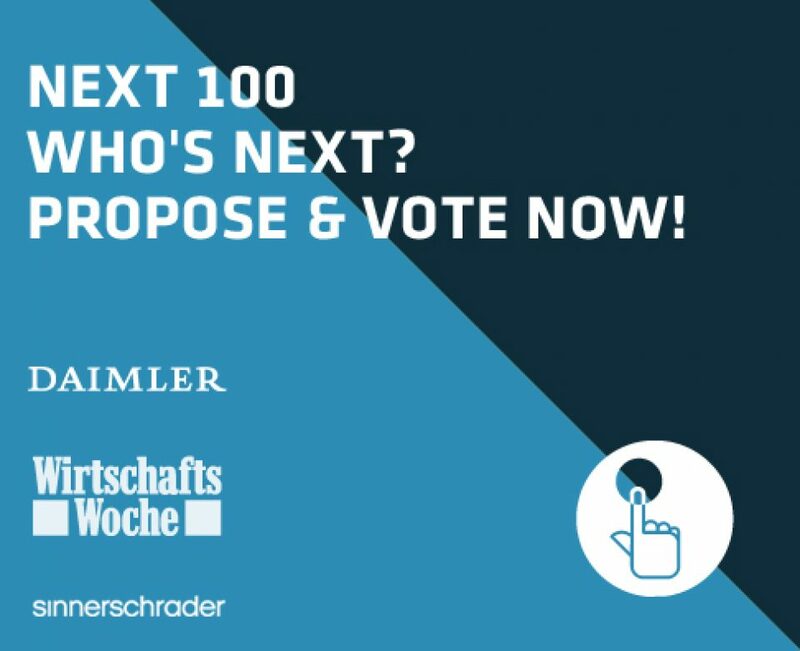 Together with our media partner WirtschaftsWoche, our sponsor Daimler AG and the NEXT community, we are looking for those individuals who will have the greatest influence on the digital industry over the coming twelve months. Together with Daimler, WirtschaftsWoche, and the NEXT community, we are looking for those individuals who will have the greatest influence on the digital industry over the coming twelve months. See who has already been nominated. If there is someone you feel should be on the list – but isn’t (and you can even nominate yourself) there is a section on the website where you can make your proposal. The nomination period has just been extended, and you can make your suggestions until February 14.